America’s Best Breakfasts…Who Doesn’t Love Breakfast? To be perfectly honest, I have not always been a fan of breakfast foods. I didn’t like bacon until I became pregnant with my oldest and then I couldn’t get enough of it. Since then, I have been a huge fan of breakfast foods, especially when eaten at dinner time. So when I saw America’s Best Breakfasts: Favorite Local Recipes from Coast to Coast by Lee Brian Schrager and Adeena Sussman (Clarkson Potter Publishers, 2016), I got incredibly excited to see what this book could possibly teach me about making awesome breakfasts. There was one recipe in particular that I wanted that this book contains: Shrimp and Grits from Hominy Grill in Charleston! When we lived in Charleston I became incredibly fond of grits, it was a texture thing, basically it was love at first bite. It is a food that has been refined for hundreds of years into this simple, rustic, down-home goodness – well, that is the food I want to be eating. Living on the west coast now, it is a rarity and not a breakfast staple here, so having this recipe in my hot little hands was a must. I do have to say the major complaint that I have heard about this book is that it does not represent every state…however, the states and restraunts they do cover…well yum. Some of the cities that are heavily represented in this book are San Francisco, Chicago, Miami and New York. As if this cookbook wasn’t making you salivate just by reading these recipes then they go and add a Bloody Mary list! Come on, this book is now my new travel guide, because I want to eat in just about every one of these places. This is the first breakfast cook book that I have, and I am thrilled with it, I think that these are recipes that are accessible to most home cooks, the pictures are gorgeous. Not to mention it is also a travel guide in a way, because you will want to add these breakfast spots to your next travel itinerary. The downside, many states don’t get love – Washington is one of them…honestly, I was a little bummed. Bloggers Note: I received this book from Blogging for Books in exchange for this review, however, the opinions shared are my own. Food with Friends…almost too pretty to eat. Food with Friends: The Art of Simple Gatherings by Leela Cyd, is a gloriously beautiful cookbook that celebrates the marriage of food and friends. The pictures in this book are stunning and swoon worthy. This book has unique recipes that will not only impress your friends, but make your mouth water while doing it. The foods have a rustic down-home, yet tea time inspired feel. Perfect for just about an occasion be it a baby shower or book club meeting this book is perfect. Another component of this book is that the ingredients are for the most part staples, the recipes are not going to send you on a wild goose chase trying to find some mysterious thing you only need 1/8 of a teaspoon. I love that about this book, the recipes aren’t complicated, they have an effortless feel to them. The recipes are delicious, I cannot wait to see what Leela comes up with next, because I am completely smitten with these recipes and possibly going to need to go on a diet if I keep eating all of her delicious creations. I received this book from Blogging for Books for this review. However, the opinions stated are my own. 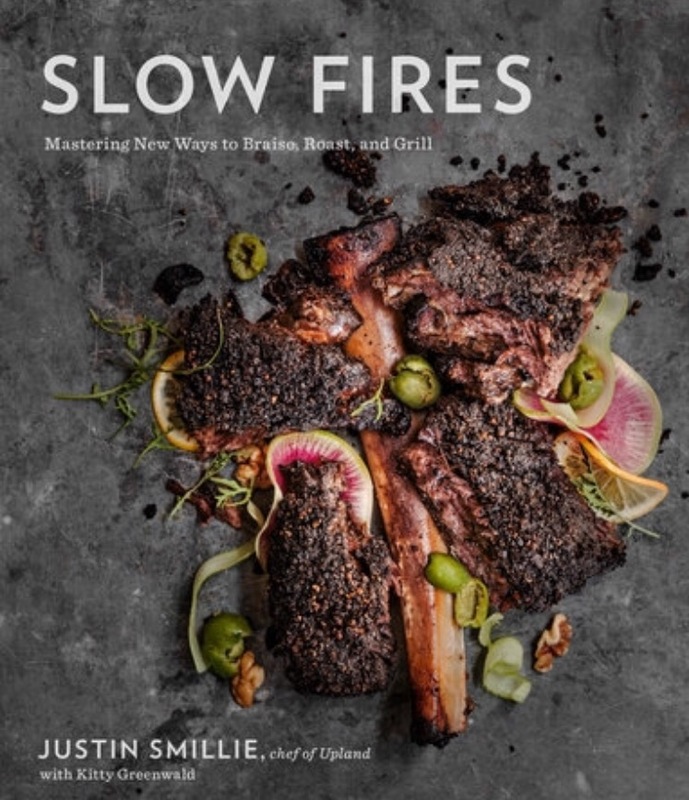 “Slow Fires: Mastering New Ways to Braise, Roast, and Grill”, by Justin Smillie and Kitty Greenwald is a hearty cookbook that reads more like a conversation with an incredibly talented chef who has let you behind the scenes at his restaurant to show you how to make amazing meals. As Smillie writes this book has 52 meals to be enjoyed when you have time: most likely the weekend, although there are a few that would be perfect for a weeknight meal. Personally, I grew up watching the women of my family create meals in the kitchen and men spent their time focusing on the grill. So this book is perfect in helping me to build my culinary confidence in grilling as well as braising. Another component of this cookbook that I love is the appreciation of how it takes time to create something extraordinary, this book walks you through that process. It breaks it down and walks you through the process. This book is focused on rustic Mediterranean cuisine, it is clear that Smillie has a true passion demonstrated with each stunning picture. The chapters start out with mastering basic techniques and then as you get comfortable there are tweaks to those techniques. The fourth chapter is all about foundations and finishes: sauces, oils, broths and accoutrements for a stunning meal. I would also be remiss if I did not mention this book is also gorgeous! Ed Anderson has brilliantly captured the rustic feel of the meals as well as created what I can only imagine would compare to an experience at Smillie’s restaurant, Upland, in New York City. This book is great for your favorite foodie, someone who wants to be inspired and get back to rustic Mediterranean cooking. Bloggers Note: I received this book from Blogging for Books for this review. However thoughts and opinions are my own. A delicious cookbook that needs to be on your shelf! possibly the most visually appealing cookbook I’ve ever laid my eyes upon. This cookbook is perfect for a small family as most of the recipes serve four. 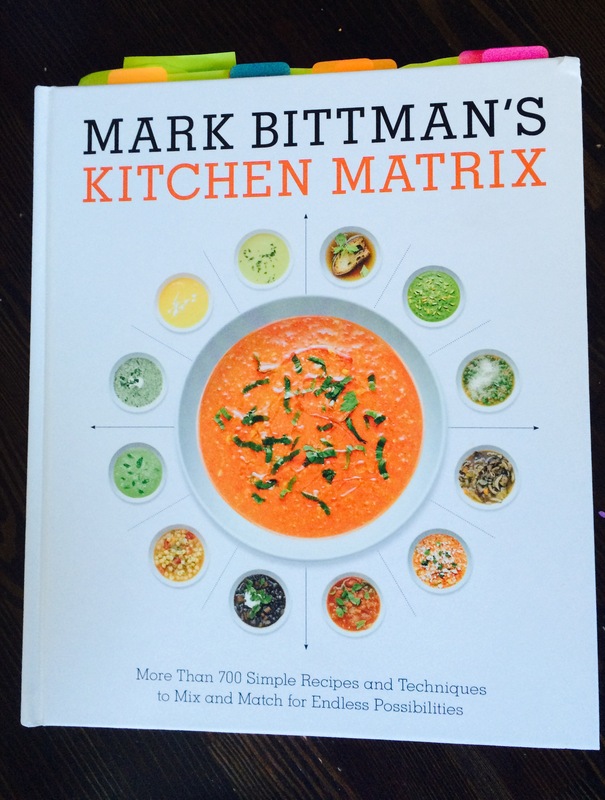 Another component that I love is Bittman really helps you to get outside of your cooking comfort level. I know that when I cook I often do the same preparation over and over. However, this book helps you to refine your tastes by offering Asparagus 12 ways, celery 16 ways usually with a few different options for preparation cooking method: raw, grilled, sautéed, braised, baked, fried and microwaved. Generally this cookbook feels like it was written for my family, when I first opened this cookbook with post-it tabs in hand, I quickly realized that on almost every single page something looked delicious or had a preparation I had never tried before. For example some of the recipes that I thought sounded not only delicious but doable with having two small kids running around during dinner time: asparagus with chicken and shiitakes, artichokes with crab, zucchini on crostini with ricotta and mint, bulgogi and all the accouterments that go with it, to the 10 ways to make spice blends to flavor your proteins. Yum! This book is truly one of my favorite cookbooks, perfect for your favorite foodie as well as someone who is just learning their way around the kitchen. Bloggers note: I received this book from Blogging for Books for this review; however opinions expressed are my own. Infuse: Oil, Spirit, Water by Eric Prum & Josh Williams, is an aesthetically pleasing cookbook that will teach you everything you need to know about infusing oil, spirits and water with some of the most delicious ingredients. Once you are done looking through the pages of this gorgeous book, you will want to get your hands on some mason jars and get to work. Eric Prum and Josh Williams are two friends who share the same passion for enhancing things that are already delicious and making them even more spectacular. Infuse is broken into four parts: 1. the basics; materials you will need to get started. 2. oil; where you will find recipes for grilled pizza Bianca, simple vinaigrette, flash-infused oils and more. 3. Spirit; where they share the recipe that started it all – peach bourbon along with so many more recipes that are perfect for a hot afternoon or a chilly night. 4. water; there are some delicious additions to water that are sure to brighten any meal – the ones that I cannot get enough of right now are for cold brewed teas: lemongrass green tea, honey-peach black tea, lavender meyer lemon mint tea and summer berry hibiscus tea. Are you thirsty, yet? This book does a fantastic job of telling you exactly how to make these divine infusions as well as how long it will take for them to be infused to perfection. With 50 recipes for you to enjoy this book would be perfect for anyone who loves to eat and loves flavor. This book may be just what you need to take your cooking and bartending to the next level. I love that when I finished flipping through this book there were multiple recipes that I wanted to try. Here is a link to Eric and Josh’s website, The Mason Shaker where you can learn more about the authors as well as purchase their mason tap and mason shaker. If you are a fan of this book then you will most definitely want to check out their other title published in 2014, which I think would be the perfect addition to any bar cart as well as a fantastic house-warming gift paired with some bar tools or mason jars. Infuse is published by Clarkson Potter/Publishers an imprint of the Crown Publishing Group, a division of Penguin Random House, May 2015. I received this book from Blogging for Books for this review. I wanted to share a new cookbook with you that is about one of my favorite things to eat. I love chips and salsa. When I say I love, I mean I crave and once I open a bag of chips lookout. My absolute favorite chips are Juanita’s made in Hood River, Oregon. They are by far superior chips and once you’ve had them, all other chips will be unworthy of your salsa and guacamole. Alright, now that we have established the best chip to be dipping you need some salsa. Salsas and Moles by Deborah Schneider published by Ten Speed Press in April 2015. Is a small book packed full of 60 recipes for Pico de Gallo, Mole, Chimichurri, Gaucamole and many other delicious recipes. The only trouble you will have is deciding which salsa to make first. Some of these recipes look like they have been passed down from a previous generation. To be honest, when it comes to mole, I have this friend who made it for me a few times and I knew it was detailed with a lot of different ingredients, but I have been rather intimidated to make it on my own. However, Schneider gives you all the steps you will need to make many different types of mole – so really the tough part I suspect will be choosing which one and then collecting the ingredients. What I really loved about this book is the explanation about chilies and what Schneider calls the essential guide to chiles. This is so helpful for me, I never really knew about the flavor components or heat ratings beyond a habanero is really hot. I think that this is the perfect foundation for the rest of the book and the delicious recipes. I was so excited to see the recipes for new types of sauces like her recipe for chimichurri which is delicious and so easy to make. Some other things about this book that I love, the size, it is a smaller book which for some reason makes me love it even more. There are gorgeous pictures throughout, which is so helpful when making a new recipe; I love seeing what it should look like. Overall, this is a great cookbook and if you or someone you know loves eating salsa or cooking authentically then this is the book for you. Bloggers note: I received this book from Blogging for Books for this review. However, the thoughts and opinions are my own. 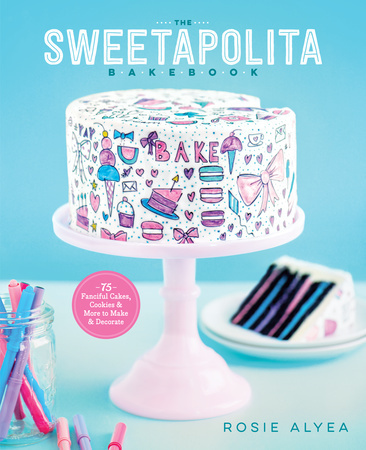 The Sweetapolita Bakebook: 75 Fanciful Cakes, Cookies & More to Make & Decorate by Rosie Alyea is one delicious tome! Literally, there is not one recipe in the entire book that doesn’t look delectable. Each recipe is introduced with a backstory about it’s inception and why they made it into the book. The recipes themselves are incredibly easy to follow even for the most complex of cakes. The book would be perfect for anyone who likes to bake or wants to learn from more about baking exquisite cakes from an expert. It is clear that Rosie Alyea is an incredibly talented baker one that inspires you to challenge yourself and one that is so passionate, I am sure you can even taste it. What I love about this book is that my daughter came home from school and saw it and immediately sat down and poured over the pages, every few pages saying ooo mommy can we make this one? When she got to the section about cookies, she actually squeeled when she saw the water color cookies and the mask cookies. What I do know, is that when her birthday comes she is going to once again pour over the pages of this book looking for her perfect birthday cake; and I know that whichever one she ends up deciding on I will be able to create because of the masterfully crafter recipes and instructions. I was so inspired by the cover image I had to learn more, I had no idea that these awesome pens even existed before reading Rosie’s book, I think I need some of these to add to my repertoire.Gourmet Writer Food Decorator Pens, Assorted Colors, Set of 10. One thing I feel compelled to mention is that the design of this book is spectacular. It is incredibly visually pleasing, just like Rosie’s blog. The little touches make this book absolute perfection: turquoise, pink and white polka dots, the design of the book is by Rae Ann Spitzenberger and let me tell you it is lovely. Note: I received this book from Blogging for Books for this review. However, this book is AWESOME, and the opinions expressed are my own. A few years ago when I was teaching full-time and completing my masters degree I would find myself incredibly stressed with my day and need a way to unwind. I found that making pasta was a cathartic experience for me. There was something about putting together the most simple ingredients to make incredibly delicious meals. It became a sort of running joke at our house when my husband would come home and see the pasta maker out and flour in my hair, he would know it had been an incredibly stressful day; but more importantly that a delicious meal was in his near future. When I saw that Marc Vetri has put together this book, I was thrilled. For years I’ve been wanting to get back to those days of crafting pasta by hand. Vetri’s book is just the inspiration that I’ve been looking for. Recently, I have had a chance to study and enjoy Mastering Pasta: The Art and Practice of Handmade Pasta, Gnocchi, and Risotto by Marc Vetri with David Joachim. There are so many things about this cookbook that I love, first off, it is real and honest, Marc Vetri wanted to write his first cookbook about pasta, however, instead he took his time and researched pasta for over a decade (of course he wrote two other amazing cookbooks Il Viaggio Di Vetri: A Culinary Journey in 2008 and Rustic Italian Food in 2011). This book is the perfect primer for anyone who wants to learn how to make authentic pasta, gnocchi and risotto. With that said, even the seasoned pasta maker will enjoy the new takes on traditional recipes. You can tell just by reading the first 5 pages of this book that Marc loves pasta but not just pasta, but what it represents: spending time with family, enjoying traditions, the company you’re with and not compromising quality for convenience. Another stunning part of this book is that Marc Vetri shares stories of his travels, as well as the history of some of these traditional meals. He shares the inspiration behind the 100 recipes, I love this aspect of cookbooks. I love the back story that makes it seems personal, as if it were a recipe card you are getting from a relative who tells you about when they made it and special notations that they made have in the margins. You feel like you’re having a conversation when you read this book, Vetri talks about how stocks and sauces are the cornerstones of cooking, how cooking these meals is such that you layer these flavors and how cooking with ingredients that are farmed close to your home is the best. 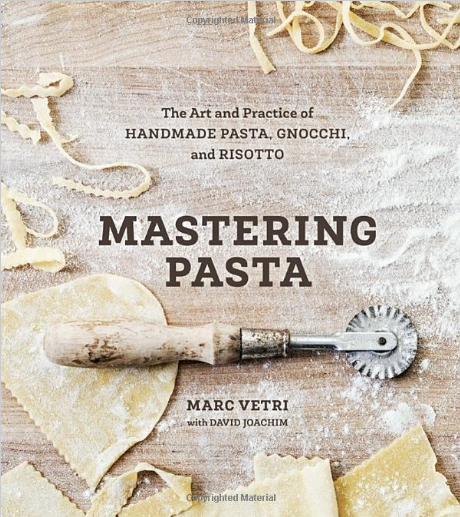 After reading Mastering Pasta, I feel as though I have had a detailed cooking class with Marc Vetri where he has shared with me all that he has to know about pasta. This is a book that you will pull off your shelves for tried and true recipes, to find something new and inspiring for something to serve for special occasions. This is the one and only book you will need to make delicious pasta at home for your family. Blogger note: I received this book from Blogging For Books for this review, but the thoughts and opinions in this post are entirely my own. Here at my house we eat a lot of eggs, a few years ago I decided I wanted to get some chickens, because it would much so much cheaper than buying the huge amount of eggs at the big box stores. Well, my poultry dreams haven’t exactly come true, but they have certainly been reignited. 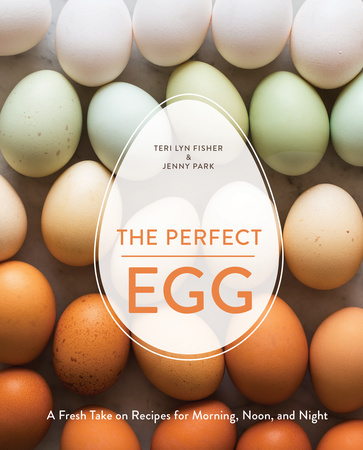 I had the opportunity to spend some time pouring over the new book The Perfect Egg: A Fresh Take on Recipes for Morning, Noon, and Night by Teri Lyn Fisher and Jenny Park who you may know from their foodie blog Spoon Fork Bacon. Where they share their amazing recipes and gorgeous food photography, I swear these stunning foodie pictures could make you gain some weight just by looking at them. Just last week they released their second cookbook, The Perfect Egg. This book is packed with some incredibly gorgeous photographs, I was in love when I opened the cover and saw the pictures. After all, my least favorite part about cooking magazines and cookbooks is when the recipes do not have pictures. I want to see what it should look like. So I can drool over the potential meals I now have the instructions to make. I think it is pretty safe to say the more pictures the better, and you my friend are in luck, because Jenny has taken some artful photos. I love how this book is all about eggs, but eggs morning, noon and night. Some of my favorite things about this book, Egg 101: Basics – there are 17 pages dedicated to cooking techniques, sauces and condiments, pasta doughs, and breads. The recipe that literally had me getting giddy and running to the cupboards to see if I had everything on hand – Hawaiian Sweet Rolls. The girls love these rolls and seriously we always have them on hand, so to be able to make them is amazing. Another favorite for me is that this book is not what you would expect, yes there are traditional egg recipes, but they have a twist to them. For example, quiche; there are nine variations to their standard recipe, and not taking up nine pages of the book, but just one! Same with Fritatta, there are also nine variations you can choose from. These are unique and delicious, so much so that you should not look at this book if you are hungry, I was incredibly disappointed when I got only 40 pages in and was running to the kitchen to see if I had the ingredients to make Huevos Rancheros because the picture well it’s delicious – to my dismay I did not. Let’s talk about the snacks/afternoon portion of the book, again you will find classic recipes with more modern variations – eggs salad and deviled eggs (perfect when you consider you will be dying a ton of eggs in just a matter of weeks). Another aspect to this book that is wonderful is that Teri Lyn and Jenny love to travel and there are recipes inspired by their travels throughout the book. What I love even more is that this cookbook has a personal feel to it in that Teri Lyn and Jenny write little notes to you at the top of the recipes, much like you would tell a friend before you shared a new recipe with them about where you got it, what you were doing there and why you like it. Which for me, makes it so much more fun and reminds me of their blog, which I love. The only person who I suspect would not like this book is someone who doesn’t like eggs, and for you non-egg eater I suggest you try one of these recipes: Blackberry-Stuffed Croissant French Toast, Corn and Green Onion Fritters with a Bacon-Honey Drizzle, Spaetzle with Swedish Meatballs, Vanilla Bean Semifreddo Bars or Peaches ‘N’ Cream Cake. Trust me when I say you will want to do two things really quickly – get yourself a chicken coop and stock it full of hens and get this book before Easter so you can make the most of the brightly colored deliciously delightful eggs. Note: I received this book from Blogging for Books for this review. However, the thoughts and opinions about this book are my own. 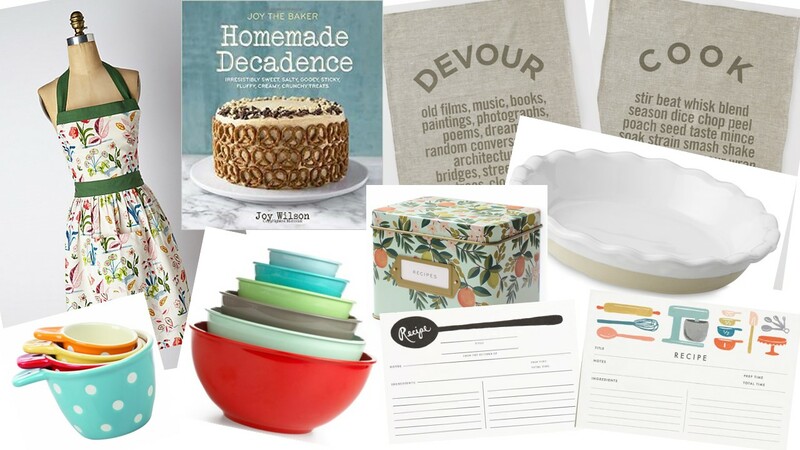 When I think of my foodie friends I think of all of the things that they would love to have in their kitchens, and all of these items fir the bill. I chose items that I either have and love, or items that I would be thrilled to receive. Hope you enjoy! Cookbook – Joy the Baker Homemade Decadence: Irresistibly Sweet, Salty, Gooey, Sticky, Fluffy, Creamy, Crunchy Treats is a great cookbook for anyone who loves her blog as well as her delicious recipes. Tea Towel, Studiopatro makes these amazing tea towels, cook and devour are my favorites. Almost too pretty to use. Pie Dish, I love these Emile Henry bakeware dishes, they are fabulous, so easy to clean. Decorative Measuring Cups, how cute are these little cheerful cups? Mixing Bowls, these melamine bowls are amazing and oh so colorful. Recipe Box, I am in love with Rifle Paper Co. They have such stunning pieces like this gorgeous box, I saw this one at the Book Larder in Seattle, but if you can’t get to this shop you can buy online here. Recipe Cards – you can really never have enough cards and these gorgeous ones will be sure to delight any cook you know. Rifle Paper makes some of the most gorgeous products. Happy shopping, if I forget anything please let me know in the comments, I always love hearing what other gifts people love to give.